It's Beer O'Clock: TRUE BREW! This is the launch of the new section on Beer O'Clock Australia, True Brew, as named by Liz a few months back in the competition to name Et Ceterbeer. 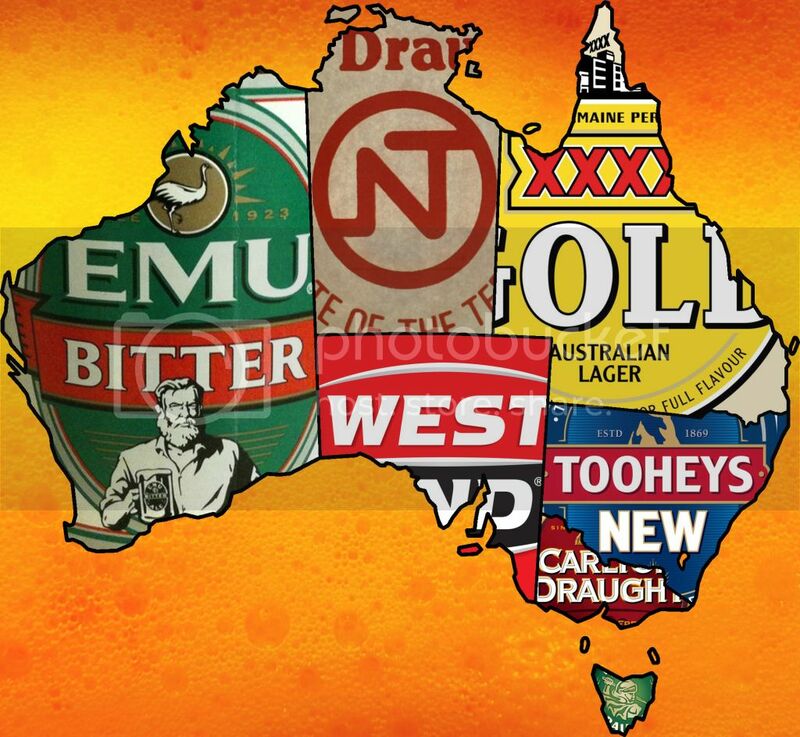 True Brew will endeavour to answer the age old question: Which state has the best beer? My fridge has been turned over to Australian lagers from all over the country which will be sampled and compared over the coming days/weeks. I've been working on how this segment is going to work for a while and I think I've got the final formula down pat. Each state will have 3 beers represent them; beer one will be the main macro lager in that state, beer two will be an alternative macro lager from that state and beer three will be craft lager from that state. This will hopefully give a fair indication of which state has the best beer. On a road trip I went on with the boys earlier this year we termed the phrase "state-riotic", naturally we drank the local beer, Tooheys New, but we were all drawn back to our own states beer. I will however put my stateriotic feelings to one side and review all of these beers with an open mind. May the best state win! I should also say thank you to Lizzie for the artwork, I think it looks awesome! We love this idea! Dave is actually working on brew reviews of all the beers in each state! We love your Australia map - genius!